Another scholar from Palestine is Shihab al-Din Ahmad Ibn al-Ha’im (d. 815 H/1412 CE), a mathematician born in Cairo who spent his entire adult life in Al-Quds (Jerusalem) and was referred to as Ibn al-Ha’im al-Maqdisi. Although he was a jurist, theologian and a teacher, his fame resides in him being a mathematician alongside author of several mathematical treatises. These include Al-Nuzha fi ‘l-hisab, Al-Wasila fi ‘l-hisab, Al-Nuzha fi sharh murshidat al-talib, all of them being original treatises studied by historians of science today. In his scientific work, Ibn al-Ha’im took a special interest in a practical branch of mathematics that was of particular use to the Muslim society of the time, namely successoral calculations (hisab al-fara’idh). This is why he was known as Ibn al-Ha’im al-Faradhi. Palestinian women, like many Muslim women in other countries in the classical Muslim world, were not confined to household tasks. They were writers, poets and even calligraphers of the Qur’an, a most prestigious work. One of them, Zaynab bint Ahmad b. Abderrahim al-Maqdisiya, known as Bint Al-Kamal, was a devout lady versed in religion and hadith (Prophet Muhammad’s teachings) and Qu’ranic sciences. Born in 646 H/1248 CE, she died in 740 H/1339 CE. One of her legacies, besides the many occurrences of her name in history books (e.g., Abu al-Fadhl, Al-Durar al-kamina fi a’yan al-mi’a al-thamina, Haydarabad, 1972, 2nd edition, vol. 2, p. 248; Al-Zirikli, Al-A’lam, Beirut, 5th edition, 1980, vol. 8, p. 229), is a beautiful copy of the Qu’ran calligraphed by herself in 731 H/1330 CE. 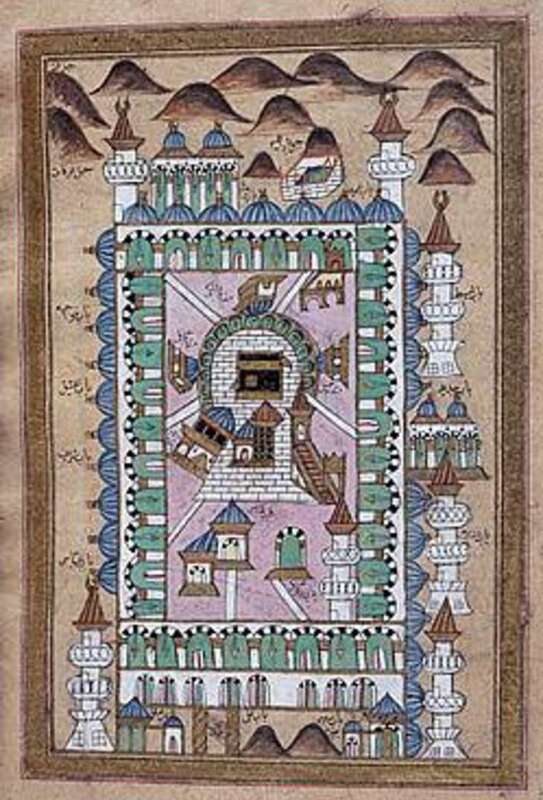 The Qu’ran was written with black ink, decorated with colours and illumination. Additionally, there was a leather binding with a stamp-block decoration. It is a rare manuscript example of such a work as this having a celberated female calligrapher. The contribution of Palestinians to modern Arabic culture is so rich and varied that it is impossible to estimate. Aside from poets (here we have just to pronounce the names of Mahmud Darwish, who passed away last year, and Samih al-Qasim), novelists, film makers, painters, journalists, to scientists and many creative people in all areas of knowledge and culture. Staying in the field of Muslim heritage, two of the most eminent Arab historians of science in the 20th century were Palestinians: Hafiz Qadri Tuqan, from Nablus, whose family produced the well-known poet Fadwa Tuqan, and Ahmad Salim Sa’idan. Ahmad Salim Sai’dan is commonly referred to as one of the most prolific historians of Arabic mathematics who settled in Amman for a long period of his life, after he was expelled from his homeland in the aftermath of the nakba and occupation of Palestine. Muhammad Ibn Ahmad Shams al-Din Al-Muqaddasi, also known as Al-Maqdisi (born ca. 945-46-died ca. 1000) was a notable early Arab geographer. A traveller, geographer, and author, he is by far one of the most instructive of early Islamic social scientists. He was originally from Al-Quds (Jerusalem) in Palestine, hence his name. He is best known for his treatise entitled Ahsan at-Taqasim fi Ma’arifat Al-Aqalim (The Best Classification for the Knowledge of the Climes (or Regions)  which was completed in 375 H/985 CE. A revised edition was produced three years later . According to Al-Muqaddasi himself, his grandfather (al-Bana) was a revered architect employed by Ibn Tulun to build the Acre seaport. 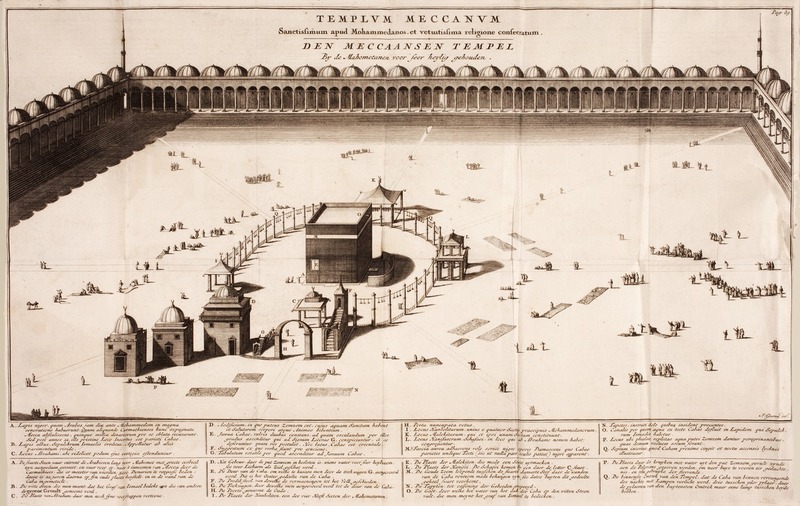 In his early years, Al-Muqaddasi had the advantage of an excellent education and after having made the Pilgrimage to Mecca at twenty years of age, he determined to devote himself to the study of geography. For the purpose of acquiring the necessary information, he undertook a series of journeys which lasted two decades, and setting out from Jerusalem, carried him in turn throughout the Muslim world. It was only in 985 CE that he set himself to write his book Ahsan a-Taqasim fi Ma’rifat al-Aqalim, a systematic account of all the places and regions he had visited. 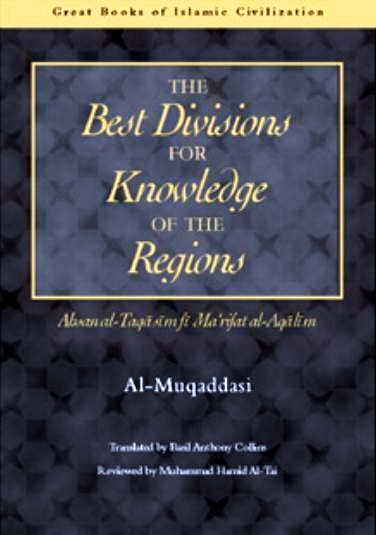 Figure 3: Front cover of The Best Divisions for the Knowledge of the Regions, the English translation of Al-Muqaddasi’s Ahasan al-Taqasim Fi Ma’rifat al-Aqalim by Basil Anthony Collins (Garnet Publishing, 2000). The book is an epic geographical treatise and also a great work of literature. This treatise was based on some twenty years of personal experiences and observations noted in his survey of the realm of Islam, from the Atlantic to the Indian Ocean. Early in the second half of the nineteenth century the German orientalist Aloys Sprenger, brought to the attention of the West, a manuscript of Al-Muqaddasi’s work. Sprenger’s enthusiasm over the content of the manuscript is reflected in his judgment that its author is the greatest geographer of all time – this view is shared by many scholars. “His description of Palestine, and especially of Jerusalem, his native city, is one of the best parts of the work. All he wrote is the fruit of his own observation, and his descriptions of the manners and customs of the various countries, bear the stamp of a shrewd and observant mind, fortified by profound knowledge of both books and men” . A good description of this book is given by J. H. Kramers who concludes that “there is … no subject of interest to modern geography which is not treated by Al-Muqaddasi” . 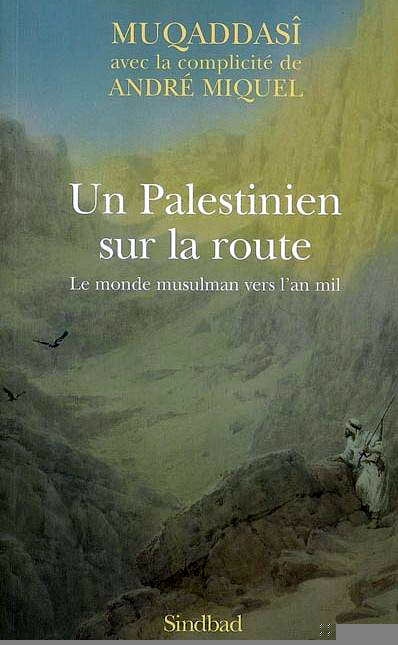 From his part, André Miquel (the French specialist of Islamic studies) calls the book as one of “total geography science” . 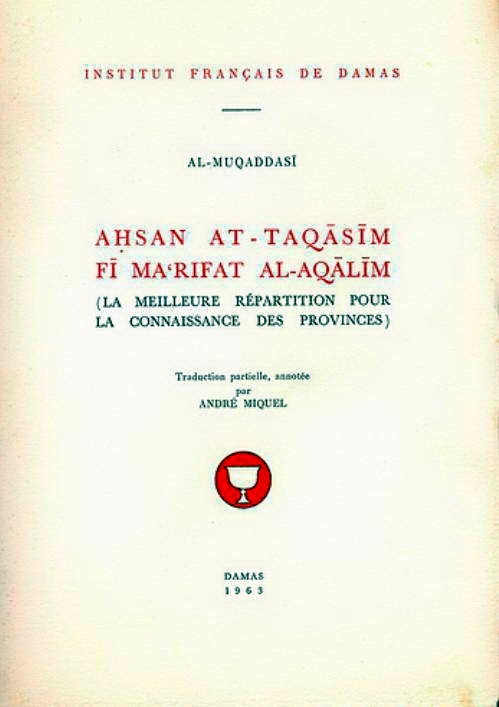 Figure 4: Front cover of the Arabic text of Ahsan at-taqasim fi ma’rifat al-aqalim by Muhamad Ibn Ahamd Al-Muqaddasi (Beirut, 2003). “One day I sat next to some builders in Shiraz; they were chiselling with poor picks and their stones were the thickness of clay. If the stone was even, they would draw a line with the pick and perhaps this would cause it to break. But if the line was straight, they would set it in place. I told them: ‘if you use a wedge, you can make a hole in the stone’. And I told them of the construction in Palestine and I engaged them in matters of construction. “He said: Your stones are malleable and your craft gentle” . Al-Muqaddasi divides the Islamic world in 14 “Iqlim-s” (climes or regions); then, he deals with each region separately. He divides his work in two parts, first enumerating localities and providing adequate description of each, especially the main urban centers. He then proceeds to other subjects: population, its ethnic diversity, social groups, before moving onto commerce, mineral resources, archaeological monuments, currencies, weights etc, and also to the political environment. This approach is in contrast to his predecessors, whose focus was much narrower, whilst Al-Muqaddasi wanted to encompass aspects of interest to merchants, travelers, and people of culture . Thus, it becomes no longer the sort of traditional `geography’, but a work that seeks to understand and explain the foundations and the functioning of Islamic society. Out of this, excellent information, regarding many subjects can be gleaned, such as water management, fiscal issues and finance, weights and measures, and city and urban developments . Figure 6: World map by Ibn Hawqal, commentated by Shiva Balaghi (see: “The World according to the Andalusians: Cultural Flow and Geography”:Source). The Ahsan at-Taqasim is marked by a narrative style organised like a modern ethnographic essay. In this sense, the book is a real social, urban and geographical account of the realm of Islam in late 10th century. During his travels, the author noted his observations on the region’s topography, climate, hydrology, vegetation, development, architecture, language, religion and culture. This work speaks of an interested and interesting man, seeing his world through a frame of reference derived from his deeply held religious belief, striving scrupulously to get at the truth of the matter as a true scientist. Figure 7a-b: Views of the oldest Islamic epigraphy in the world located in Al-Masjid al-‘Umari in Nuba, near Al-Khalil, in Palestine. The mosque was built on the remains of the old mosque which is said to have been built by Caliph ‘Umar Ibn Al-Khatab after that the Muslims conquered Palestine in 636 H (Source). Figure 5: Two pages from a copy of the Holy Qur’an written by the female Palestinian calligrapher Zaynab b. Kamal al-Din al-Maqdisiya in 731 H/1330 CE. This piece is displayed in the Museum of Islamic Art in Cairo (Source). “You should know that a number of scholars and ministers of state have written about this subject, and then rather confusedly; in fact, most of them ––let me say all of them–– have relied on hearsay. But for our part, no region remains that we did not enter, and even the slightest matters we have brought within the purview of our knowledge. At the same time, we have not omitted research, or making enquiries, or speculating. Our book, then, comprises three elements: firstly, what we ourselves have experienced; secondly, what we have heard from reliable persons; and, thirdly, what we have found in books devoted to this subject or to others. There is no king’s library that I did not assiduously examine, no sect but I studied its writings, no juridical schools but I became acquainted with them, no ascetics but I associated with them, no preachers in any country but I attended their assemblies. In this way I found a correct knowledge of what I was seeking in this subject. “I have been given thirty-six names by which I have been called and spoken to: Muqaddasi [Jerusalemite], Filastini [Palestinian], Misri [Egyptian], Maghribi [North African], Khurasani [Khorasanian], Salami [Salamian], Muqri’ [teacher in reading the Quran], Faqih [jurist], Sufi [mystic], Wali [saint], Abid [devout man], Zahid [ascetic], Sayya [pilgrim], Warraq [copyist], Mujallid [bookbinder], Tajir [merchant], Mudhakkir [[discourser], Imam [leader in prayer], Mu’addin [summoner to prayer], Khatib [preacher], Gharib [foreigner], Iraqi, Baghdadi, Shami [Syrian], Hanifi [follower of the jurist Abu Hanifa], Muta’addib [scholar], Kari [lodger at charitable foundation], Mutafaqqih [jurist], Muta’allim [savant], Fara’idhi [notary], Ustadh [master], Danishumand [sage], Sheikh, Nishastah [learned one], Rakib [courier], Rasul [messenger]. All these names were given to me through the number of countries in which I resided, and the many places I visited. There is nothing that befalls travellers of which I did not have my share, barring begging and grievous sin. “I studied law and letters, practiced asceticism and piety, taught theology and letters, preached on the pulpits, called to prayer on the minarets, led the prayers in the mosques, preached in the congregational mosques, frequented the schools. I said the prayers in convocation, spoke in the councils. I have eaten their “harisa” [porridge] with the mystics; supped “tharid” [broth] with the monks, and ” `asida” [pudding] with the sailors. I have been ejected from mosques at night, have travelled in the solitudes, gone astray in the deserts. At times I have been scrupulously pious; at times I have openly eaten forbidden food. I have become acquainted with the devout men on the mountain of Lubnan [Mount Lebanon], and also been on intimate terms with governors. I have owned slaves, but have had to carry baskets on my own head. “A number of times I was close to drowning; our caravans were waylaid on the highway. I have served the judges and the great ones, have spoken with rulers and ministers. I have accompanied the licentious on the way, sold goods in the markets, been confined in jail, been accused a spy. I have witnessed war with the Romaeans in battleships, and the ringing of church bells at night. I have been a bookbinder to earn money, have bought water at a high price. I have ridden in sedans and on horseback, have walked in the sandstorms and snows. I have been in the courtyards of the kings, standing among the nobles; I have lived among the ignorant in the workshops of weavers. What glory and honour I have been given! Yet my death has been plotted more than once. I have performed the Pilgrimage, and visited Medina; have been on forays, and in frontier posts. I have drunk “sawiq” [a potage of grains] from the public fountains in Mecca, eaten bread and chickpeas in a monastery. “I have depended on the hospice of Abraham, the Friend of God, and on the free sycamore figs at Ascalon. I have worn the robes of honour of the kings, and they have ordered gifts to be given to me. Many times I have been naked and destitute. Yet rulers have corresponded with me. Nobles have reproved me, yet I have been asked to take charge of religious endowments. I have had to submit to blackguards; heresy had been imputed to me; I have been accused of greed; princes and judges have placed me in their confidence. I have been entered in wills, made an administrator; have had good experience of pickpockets, and seen the artifices of scoundrels. Contemptible people have hounded me, and the envious have opposed me; I have been slandered to the authorities. I have entered the baths of Tabaraiyya [Tiberias], and the fortress of Fars [South Iran]; I have witnessed the festival of al-Fawwara [the fountain], the Feast of Saint Barbara, he Well of Budha’a, the castle of Ya’cub [Jacob], and his villages. “Experiences of this kind are many, but I have mentioned such a number of them that the reader of our book may know that we did not compile it haphazardly, nor arrange it in any random fashion. The reader will thus be able to distinguish between it and the others; for, after all, what a difference there is between one who has undergone all these experiences, and one who has compiled his book in perfect ease, basing it on the reports of others. “In my travels I spent more than ten thousand dirhams; I have, moreover, been lax in matters of the “shrari’a” [sacred law]. For there was no license of any juridical school, but I took advantage of it; doing, for washing the feet, a simple rubbing; getting by with praying using the one word “mudhammatani” [the dark-green gardens; the pious Muslim includes at least one verse of the Quran in his prayers, and Sura LV v.64 consists of this one word]; I have departed [from Mina, at Mecca] before sunset; have said the prescribed prayers on the back of an animal, having detestable filth on my clothes. I omitted the “tasbih” [prayer of glorification] in my “ruku’ ” [bowings] and “sujud” [prostrations], and made the prostration of negligence before the prayer of salutation. I have grouped prayers together, and curtailed pious journeys freely undertaken for God’s sake. Just the same, I did not depart from the prescriptions of the leading jurists, nor did I ever, at any time, defer saying my prayers. “In fine, I have never travelled the highroad when there was a distance of ten farsakhs or less between me and a town but that I quit the caravan and made my way to the city, that I might see it before the others. Sometimes I employed some men to accompany me, making my journey at night, so that I could return to my companions –at a great cost of money and labour”. Al-Muqaddasi, Description de l’Occident musulman au IVe=Xe Siècle by Al-Muqaddasi (Chams Ad-Din Abu Abd Allah). Alger, Carbonel, 1950. Texte arabe et traduction française en regard avec une introduction, des notes et 4 index par Charles Pellat. Al-Muqaddasi, Ahsan at-Taqasim Fi Ma’Rifat Al-Aqalim (La Meilleure Répartition Pour La Connaissance Des Provinces). Damas: Institut Français de Damas, 1963. Al-Muqaddasi, Ahsanu-t-taqasim fi ma’rifat al-aqalim. Frankfurt: Institute for the History of Arabic-Islamic Science, 1989. Al-Muqaddasi, The Best Divisions for the Knowledge of the Regions. Ahsan al-Taqasim Fi Ma’rifat al-Aqalim. Translated into English by Basil Anthony Collins. (Great Books of Islamic Civilization). Garnet Publishing, Reading, 1994. Paperback 2000. Miquel, André, “Les Portes D’Alep chez Al-Muqaddasi”. Arabica (Brill), vol. 7, N° 1, 1960, pp. 60-71. Al-Monaes, Waleed, “Muslim contributions to geography until the end of the 12th century AD”. GeoJournal(Springer Netherlands), vol. 25, N° 4, December, 1991, DOI 10.1007/BF02439491, pp. 393-400. Kramers, J. H., “Geography and Commerce”. In The Legacy of Islam, edited by T. Arnold and A. Guillaume. Oxford: Oxford University Press, 1931, pp. 79-197. Maqbul Ahmad S. and Taeschner, Fr., “Djughrafiya”. In Encyclopaedia of Islam, 2nd edition, vol. 2 (Leiden: E. J. Brill/London: Luzac, 1965), pp. 575-590. 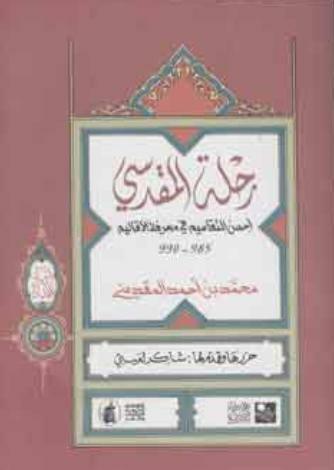 Al-Muqaddasi, Ahsan al taqasim fi ma’rifat al-aqalim, Arabic text, edited and commented upon by Ghazi Tlimat, Damascus, 1980. Another Arabic edition was published recently by Chakir Lai’bi, Beirut, Al-Mu’assasa al-‘arabiya li-‘l-dirasat wa-‘l-nashr, 2003. The Arabic text was edited before in the famous “Bibliotheca goegraphicum arabicum”: Al-Muqaddasi, Shams Al-Din Mohammad Ibn Ahmad, Kitab Ahsan al-taqasim fi ma’rifat al-aqalim, edited by M. J. de Goeje, pars tertia, Leiden, 1877; 2nd edition 1906. A partial French translation was performed by André Miquel (Damascus: Institut Français de Damas, 1963). See also the recent English translation in the series “Great Books of Islamic Civilization”: The Best Divisions for the Knowledge of the Regions: Translation of Ahsan Al-Taqasim Fi Ma’Rifat Al-Aqalim, Translated by Basil Anthony Collins, Garnet Publishing Ltd, 1994, Paperback edition, 2000. This revised version exists in two manuscript copies (preserved at Berlin and Istanbul) and have the form of a later recension (dated 378 H). The book became known in Europe through the copy brought from India by Sprenger, and was edited by Professor M. J. de Goeje as the third part of his Bibliotheca Geographorum Arabicorum (Leiden, 1877). See also the English translation (unfinished) by G. S. A. Ranking and R. F. Azoo, in Bibliotheca Indica, New Series, Nos. 8-99, 95-2, (Bengal Asiatic Society, 1897-1901); Mukaddasi’s Syrian chapter has been separately translated and edited in English by Guy le Strange (London, Palestine Pilgrims Text Society, 1886); in German by J.Gildemeister in Zeitschrift des deutschen Palestina-Vereins, vol. vii. (1884). Rihlat al-Maqdisi: Ahsan at-taqasim fi ma’rifat al-aqalim (Beirut, 2003), op. cit., p. 362. See also Zakariyeh Mohammed: Maqdisi: An 11th Century Palestinian Consciousness, Double Issue 22 & 23, 2005, Jerusalem Quarterly, pp. 86-92. Arabic version: Hawliyt al quds, n° 3, Spring 2005: Al-Jughrafi al-Maqdisi wa-nass al-hawiya al-filistiniya. S. M. Ahmad, “Al-Maqdisi”, in Dictionary of Scientific Biography, edited by Charles C. Gillipsie, New York, 1970-1980, vol. 9, p. 88. 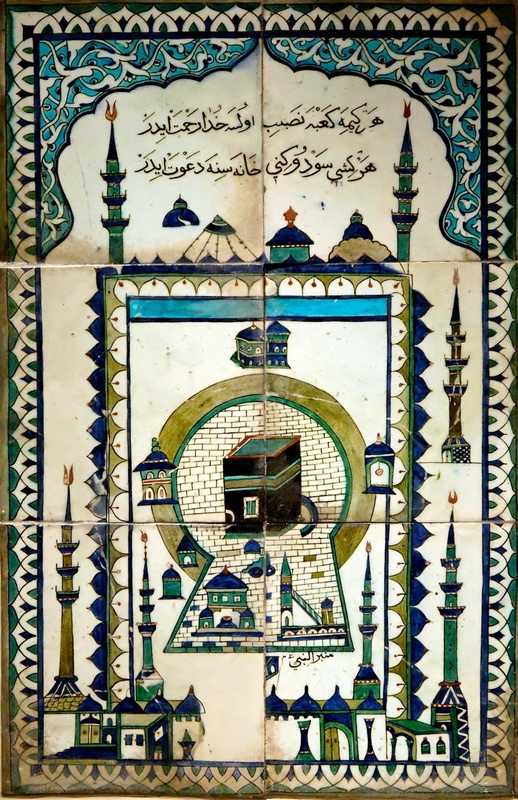 Figure 1a: Panel tile representing the Masjid al-Haram (Sacred Mosque). Made in Iznik, Turkey, 18th century. (Source). Recent scholarly interest in the genesis of social sciences in Islamic culture is a noteworthy shift. Until recent times, the development of these fields was credited exclusively to the modern Western tradition, especially to the 19th century birth of human sciences, such as sociology, psychology and later on ethnology and anthropology. But modern commentators showed that amongst items to be included under the banner of social thought must be included early contributions by the scholars of the Islamic world. Master of the discipline is, of course, Ibn Khaldun. Nothing, indeed, in the annals of history precedes the quality of his work. He shaped the whole subject, setting up foundations upon which his successors built, not just in terms of methodology and contents, but also structure and approach. Before Ibn Khaldun, however, other Muslim scholars raised matters of social interest, which Ibn Khaldun corrected, improved, and developed. The following article will consider one of the earliest Arabic contributions in this field by Al-Muqaddasi, the 10th century Palestinian geographer who touched on various subjects that will be later integrated into the field of social sciences. The investigation of the roots of social sciences in Islamic culture looks to the aspects of daily life that shaped the living Islam, the every day practicalities rather than the principles of the Muslim faith. It is a very rich field, with chapters on daily life, customs, social structure, institutions, politics, economics, the role of women, the cultural dimension in its connection with social structures, and the role of the individual in the Muslim community. Islamic jurisprudence (fiqh) is studied in its attempt to achieve the goals of rationality, universality and equality set out in the Quran. The dynamics of Islamic society sought to reflect these ideals, with individuals trying to satisfy the religious commands by going beyond worship and ritual. Recent studies show the adaptability of Islam and its ability to take into account local traditions, which has allowed the faith to spread far afield to large parts of Asia, Africa and Europe. They also describe how, more recently, education has begun to take an increasingly important role in guiding Muslims, giving them confidence in their own values, and imbuing them with their faith. Among the social sciences, anthropology is a recent field. It studies human beings in their living and under all aspects, physical (anatomy, physiology, pathology, evolution) and cultural (social, psychological and geographical). One of its favourite methodological tools is the comparison of cultures and societies separated by large geographical boundaries, in order to grasp the differences and distinctive traits in social organisation, cultural dimensions and beliefs, historical roots, etc. In his history of anthropology, Marvin Harris indicates two major frameworks within which empirical anthropology has arisen: interest in comparisons of people over space and interest in longterm human processes or humans as viewed through time. Harris dates both to classical Greece and classical Rome, specifically Herodotus, often called the “father of history” who first formulated some of the persisting problems of anthropology, and the Roman historian Tacitus, who wrote many of our only surviving contemporary accounts of several ancient Celtic and Germanic peoples. Medieval scholars may be considered forerunners of modern anthropology as well, insofar as they conducted detailed studies of the customs of peoples considered “different” from themselves in terms of geography. The Italian traveller Giovanni da Pian del Carpine (d. 1252) was one of the first Europeans to enter the court of the Great Khan of the Mongol Empire and author of the earliest important Western account of northern and central Asia that he wrote as an account of his stay among the Mongols. His report was unusual in its detailed depiction of a non-European culture. Marco Polo’s systematic observations of nature, anthropology, and geography are another example of studying human variation across space. Polo’s travels took him across such a diverse human landscape and his accounts of the peoples he met as he journeyed were so detailed that they earned him fame as an early forerunner of modern anthropology. Several Islamic scholars showed clear anthropological insights in their works. One of the first to carry out comparative ethnographic-type studies was the scientist Abu Rayhan al-Biruni in the 11th century, who wrote about the people, customs, and religions of the Indian subcontinent. Like modern anthropologists, he engaged in extensive participant observation with a given group of people, learnt their language and studied their primary texts, and presented his findings with objectivity and neutrality using cross-cultural comparisons. He wrote detailed comparative studies on the religions and cultures in the Middle East, Mediterranean and especially South Asia.Biruni’s tradition of comparative cross-cultural study continued in the Muslim world through to Ibn Khaldun’s work in the 14th century. 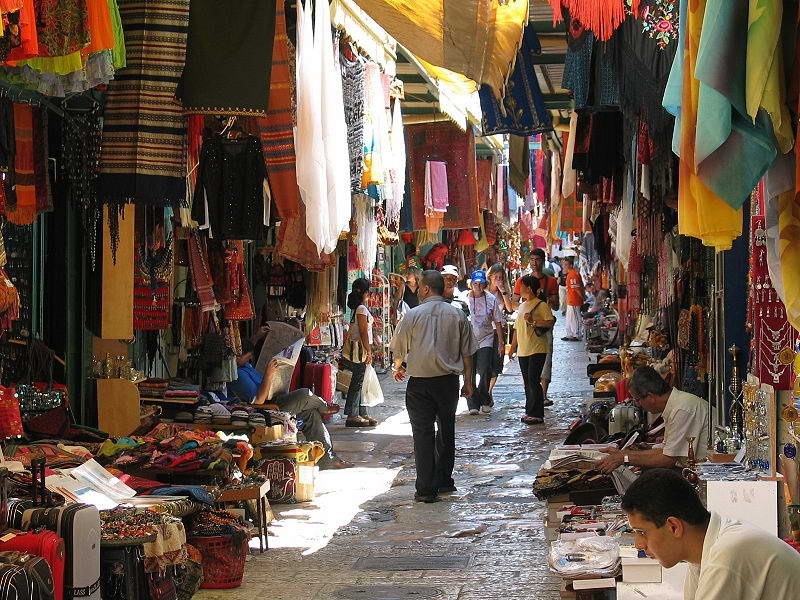 Figure 2: View of the Palestinian market in Jerusalem. 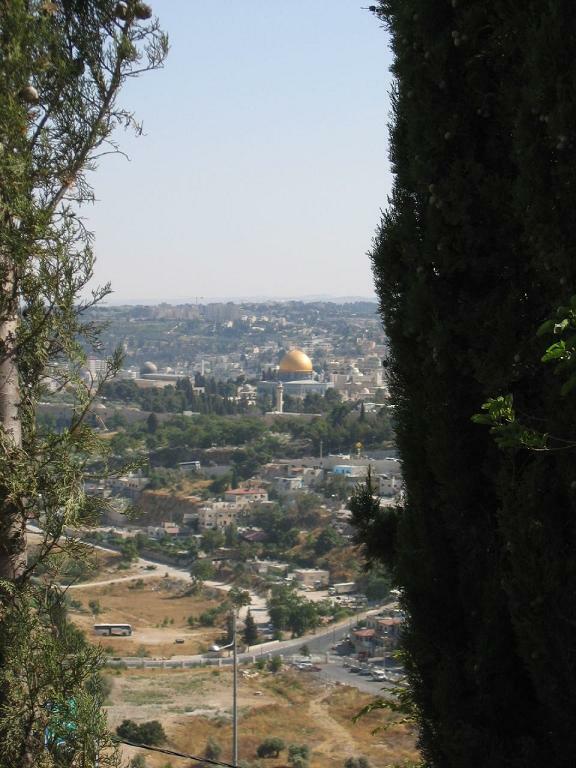 Al-Quds was the home town of Al-Muqaddasi who was born there sometime around 930-935 CE. (Source). See Muqaddasi: A Muslim Native of Jerusalem (extracted from F. E. Peters , Jerusalem, Princeton University Press, 1995) and Zakariyeh Mohammed, Maqdisi: An 11th Century Palestinian Consciousness. The investigation of “the anthropological matter” in the texts of Islamic culture highlights the precious contribution of the Arab and Muslim scholars in its pre-modern history. Through the rehabilitation of this ancient legacy of anthropological heritage written in Arabic, a link is thus established between the past and the present. In this connection, emphasis is placed on the anthropological dimension in the corpus of Ibn Khaldun, especially in Al-Muqaddima, on the ties between Al-Jahiz and the anthropological sciences, and the place reserved for human sciences in two key books of Al-Raghib al-Isfahani, Al-Dharia’a ila makarim al-sharia’a and Kitab Tafsil al-nash’atayn wa-tahsil al-sa’adadatayn. Abu ‘l-Qasim al-Husayn b. Muhammad b. al-Mufadhdhal al-Raghib al-Isfahani was a religious and literary scholar. Information about his life is extremely scanty, but according to al-Suyuti’s statement in the Bughya, he died in the early 5th H/11th CE. His works, of which at least a dozen are extant, enjoyed a considerable popularity, and they exerted a recognizable influence on Al-Ghazali and other later figures. The best-known works of Al-Raghib are of literary scope, such as Muhadhrat al- udaba’ wa-muhawarat al-shu’ara’ wa ‘l-bulagha’ and Majma’ al- balagha. Al-Raghib’s predilection for subtle semantic analysis is apparent in his works on the semantics and exegesis of the Quran, the Mufradat alfaz al-Qur’an, Durrat al- ta’wil fi mutashabih al-tanzil, and his Tafsir. The anthropological scope of Al-Raghib’s work appears in his best-known ethical work Al-Dhari’a ila makarim al-shari’a (The Book of Means to the Noble Qualities of the Law), where he combined religious scholarship and philosophy. This work is structured in terms of a Platonic-Aristotelian psychology, with separate chapters on man’s faculties in general, his intellect, the concupiscent and irascible faculties, justice, labour and money, and human acts. The pervasive philosophical influence is highly reminiscent of Miskawayh (died in 421/1030). Al-Raghib’s general perspective is, however, considerably more Islamicised than Miskawayh’s, with virtually every assertion being backed up by appropriate citations from the Quran and hadith. The work’s ultimate influence was considerable, as it was Al-Ghazali’s direct source for a good half of his Mizan al-‘amal , as well as for significant sections of his Ihya’ ‘ulum al-din and Ma’arij al-Quds. Al-Raghib also wrote a companion piece to the Dhari’a, the Tafsil al-nash’atayn wa-tahsil al-sa’adatayn, which presents many of the same ideas but stresses even more explicitly the complementarity of reason and religion. Other works of Al-Raghib al-Isfahani, in the form of brief epistles, were found recently in an Istanbul manuscript (Esad Efendi 3645). They deal with education, classification of sciences and relationships in society. Their titles are: Risala fi anna fadhilat al-insan bi ‘l-‘ulum, Risala fi dhikr al-wahid wa-‘l-ahad, Risala fi adab mukhalatat al-nas, and Risala fi maratib al-‘ulum. The full name of our scholar is Shams al-Din Abu ‘Abd Allah Muhammad b. Ahmad b. Abi Bakr al-Banna’ al-Shami al-Muqaddasi. His name Al-Muqaddasi is also transliterated as Al-Maqdisi and al-Mukaddasi. He is the best representative of Arabic geography in the second half of the 4th/10th century. The events of his life story, which are not well known, are only available to us through his main book, the famous Ahsan at-taqasim fi ma’rifat al-aqalim (The Best Divisions for Knowledge of the Regions). He lived in the 10th century (around 930-935 and 1000 CE). Very much attached to the Palestine of his birth and to the town whose name he bears (Muqaddasi or Maqdisi, from Al-Quds or Bayt al-Maqdis, Jerusalem), he probably belonged to a middle-class family. His paternal grandfather, Abu Bakr, an architect and/or builder, has his claim to fame for having built, on the orders of Ibn Tulun, the maritime defences of Acre. His mother’s family came originally from Biyar, a small town of Khurasan. The author’s maternal grandfather, being himself an expert in the art of construction, emigrated to Jerusalem. It can reasonably be supposed that he received the education that his social origins merited; the use, in his work, here and there, of rhymed prose, and even poetry, bear witness to a classical training in grammar and literature, while the arguments on a basis of the Islamic jurisprudence (fiqh)and the discussions of the various theological and juridical schools provide evidence of a marked interest in these fundamental disciplines, an interest gained certainly at an early stage in an educational process. But these displays of a culture that could be termed classical, as well as the other traces of different fields of learning, history, philology and theology, are kept in the background to the benefit of the work itself, which brings them together in a project of singular unity. 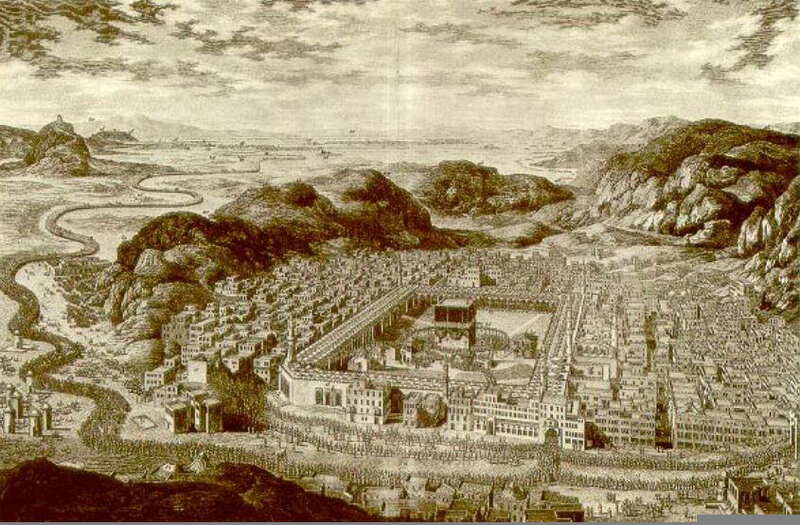 Al-Muqaddasi’s intellectual life began early, around his twentieth year, when he performed the pilgrimage to Mecca. He determined then to devote himself to the study of geography. For the purpose of acquiring the necessary information, he undertook a series of journeys which lasted over a score of years, and carried him in turn through all the countries of Islam. In 985 CE that he set out to write his book Ahsan at-taqasim fi ma’arifat al-aqalim, which gives us a systematic account of all the places and regions he visited. The book was translated into several languages. A good summary of it is given by Kramers, and extracts can be found in Dunlop’s classical book. Ahsan a-Taqasim fi Ma’rifat al-Aqalim is the outcome of the journeys undertaken by the author over two decades, and which took him in turn through all the countries of Islam. The book came out as a detailed report and a systematic account of all the places and regions he had visited. 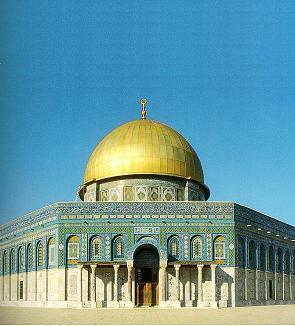 Setting out from Jerusalem, Al-Muqaddasi visited nearly every part of the Muslim world. The book is an epic geographical treatise and also a great work of literature, based on some twenty years of personal experiences and observations noted in his survey of the realm of Islam, from the Atlantic to the Indian Ocean. Early in the second half of the 19th century the German orientalist Aloys Sprenger, brought to the attention of the West, a manuscript of Al-Muqaddasi’s work. Sprenger’s enthusiasm over the content of the manuscript is reflected in his judgment that its author is the greatest geographer of all time; this view is shared by many scholars. A good description of Al-Muqaddasi’s treatise is provided by J. H. Kramers who concludes that “there is … no subject of interest to modern geography which is not treated by Al-Muqaddasi”. From his part, André Miquel, the French specialist of Islamic geography, calls the book as one of “total geographical science”. In Ahsan al-taqasim, Al-Muqaddasi gives an overall view of the lands he visited, and gives the approximate distances from one frontier to the other. Al-Muqaddasi divides the Islamic world in 14 “Iqlim-s” (climes or regions) ; then, he deals with each region separately. The book is divided in two parts. The first enumerates localities and provides adequate descriptions of each, especially the main urban centres. He then proceeds, in the second part, to other subjects: population, its ethnic diversity, social groups, commerce, natural and mineral resources, archaeological monuments, currencies, markets and weights, and the political situation. This approach is in contrast to that of his predecessors, whose focus was much narrower, whilst Al-Muqaddasi wanted to encompass aspects of interest to merchants, travellers, and people of culture. Thus, departing from the usual traditional geography’, Al-Muqaddasi’s approach seeks to understand and explain the foundations of Islamic society and its very functioning. Out of this, excellent information may be gleaned, regarding many subjects such as water management, fiscal issues and finance, weights and measures, and city and urban developments. Figure 4a: Several recent editions of Al-Muqaddasi’s book: Ahsan at-Taqasim fi ma’rifat al-aqalim, La meilleure répartition pour la connaissance des provinces, partial French translation by André Miquel (Damascus, 1963); Figure 4b:Un Palestinien sur la route: le monde musulman vers l’an mille by André Miquel (Paris, 2008); Figure 4c:The Best Divisions for Knowledge of the Regions, English translation by Basil Collins (Reading, 1994). Technically, the most important distinction of Ahsan at-taqasim is that it was the first Arabic work of geography ever to providee maps in natural colors, which is the usual practice today. The Ahsan at-Taqasim is marked by a narrative style organised like a modern ethnographic essay. In this sense, the book is a real social, urban and geographical account of the realm of Islam in the late 10th century. During his travels, the author noted his observations on the region’s topography, climate, hydrology, vegetation, development, architecture, language, religion and culture. This work speaks of an interested and interesting man, seeing his world through a frame of reference derived from his deeply held religious belief, striving scrupulously to get at the truth of the matter as a true scientist. In modern terms, large parts of Al-Muqaddasi’s work Ahsan al-taqasim would be qualified as an anthropological approach. His human geography marked by sensitivity to economic and social issues, his tight observations of habits and customs, his linkage between culture and social phenomena, lies indeed within the scope of social sciences. He was probably the first, as he explains in the preface of his book, to have desired and conceived an original science, inspired perhaps by his predecessors, but surpassing them all to the advantage of what should certainly be called a true geography. Far removed from the “science of countries” (‘ilm al-buldan) inaugurated by al-Jahiz and systematised by Ibn al-Faqih, but also from the descriptive cosmography and the purely descriptive genre of his predecessors focussing on routes and kingdoms, al-Muqaddasi belongs to the school called the “atlas of Islam”, founded by al-Balkhi, continued by Al-Istakhri, and himself relayed by Ibn Hawqal, who was his contemporary. 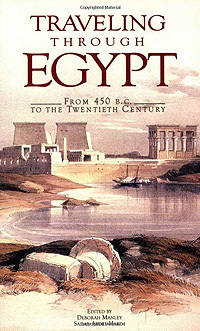 Figure 5: Front cover of Traveling Through Egypt: From 450 B.C. 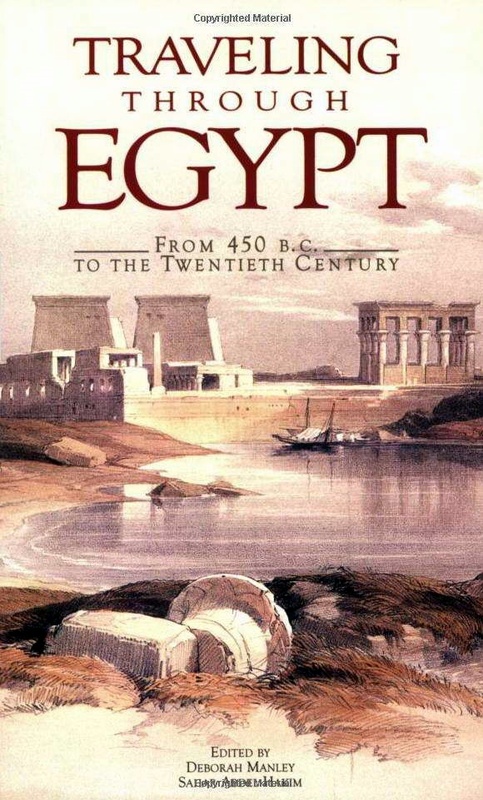 to the Twentieth Century, edited by Deborah Manley and Sahar Abdel-Hakim (The American University in Cairo Press, 2004). The book is an anthology compiled from selected records of travellers through Egypt from many countries and cultures over the centuries. We read in Al-Muqaddasi’s description of Cairo (p. 43): “Al-Fustat [old Cairo] is a metropolis in every sense of the word; here are together all the departments of the governement’s administration, and moreover, it is the seat of the Commander of the Faithful. It sets apart the Occident from the domain of the Arabs, is of wide extent, its inhabitants many. The region around is well cultivated. Its name is renowned, its glory increased; for truly it is the capital of Egypt”.). In this context, al-Muqaddasi stands out as a pioneer. Without doubt he draws on his heritage, the innovation introduced by Al-Balkhi and consisting of describing the world of Islam, giving it priority and even exclusivity. But it is the systematisation of the subject matter and method which makes al-Muqaddasi the finest representative of the human geography of Islam in the 4th/10th century. Adopting a systematic approach in ordering and content, he created a useful science, notably for merchants and the cultivated man. This last point is particularly important; by invoking authorities, one should say challenging them, by injecting, when necessary, a noble tone aided by rhymed prose and poetry, the new discipline was to be given its letters-patent of nobility in the field of literature as well as in that of strict learning. As for ambition in content, the programme that the author assigns, from as early as the preface to the science that he intends to found, it covers all the fields that it is agreed upon to call geography today: physical, economic, political and human. That study is devoted to the world of Islam, and to it alone, apart from some very rare excursions into foreign lands and recollections of the universal cosmography outlined in the introduction to the work. This world, which is made up of two parts, mamlakat al-‘Arab (the kingdom of the Arabs)and mamlakat al-‘Ajam (kingdom of the Persians), Al-Muqaddasi joins together in a unique concept, that of mamlakat al-Islam: the Domain of Islam. Within this whole, as soon as unity has been reconstituted and established in principle, there reappears the distinction between Arabs and non-Arabs. On the one hand, six Arab provinces, namely the Maghrib, Egypt, Arabia, Sham, Iraq and Aqur (Jazira, Upper Mesopotamia); on the other, eight non-Arab provinces: Rihab (Armenia-Arran-Asharbayjan), Daylam, Jibal, Khuzistan, Fars, Kirman, Sind and the Mashriq, the latter term covering all the lands coming, more or less directly, under the authority of the Samanids, that is Sijistan, Afghanistan, Khurasan and Transoxiana (ma wara’ al-nahr). In order to assert the unity of the whole, beyond this major division into two blocs, a rigorous parallelism allocates to each of them a sea (Mediterranean and “Sea of the East” assigned respectively to the kingdom of the Arabs and to the kingdom of non-Arabs); a desert (Badiyat al-Arab and Mafazat Khurasan); and two double provinces with two capitals: Andalus (with Cordova as capital), and the Maghrib (with Kairouan as capital), a land to the south andto the north of the Oxus for the Mashriq, with two respective capitals, Nisabur and Samarkand. 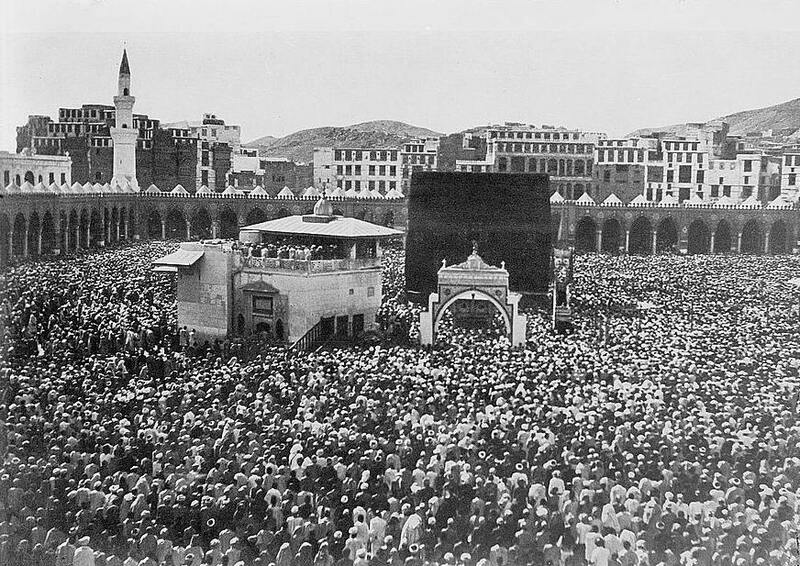 Another way of asserting the unity is the conception of the heart of Islam, Arabia, being also itself a province with two capitals, Mecca and Zabid. This science required a specialised vocabulary. Apart from the words cited, the author uses the distinguishing words nahiya and rustaq. The Rustaq is too small to constitute a district, but the nahiya, benefiting from a separate status within a fixed kura, occupies a situation of the same order, but in relation, especially, to the iqlim, taking account of its superior status as against the rustaq. Other specific terms touch on current vocabulary, of which certain specialised words relate for example to the scale of values for products. Finally, others appear in the form of tables or are designed, according to the different countries visited, as the terms of crafts, water transport, tools, weights and measures, and money. The global presentation is clothed in the same rigour. The description of each province, after a general presentation which aims at a more elevated tone, opens into the division of the kura s and their towns followed by the description of them. After this, a general chapter of the province presents, in an order which may be varied and not always complete, the following information: climate, products and specialities, waters, mines, mountains, holy places, money, taxes, weights and measures, customs, marvels, calendar, political power, factions, schools and Quranic readings, marvels and -always present and ending the list- routes. The work is also of value as a whole, due less perhaps to its gross data as than to its plan. The project, in the very size of its scale, is ultimately more of a dream than a reality. The superb construction of the mamlakat al-Islam was already condemned by history -the following centuries would see the political reality, the concept and even the expression disappear. Although with others he continues the eulogy of Baghdad, presented as the living and unifying symbol of this world, Al-Muqaddasi cannot fail to stress its decline, as against the two powers which were challenging it, Cordova and especially Fatimid Egypt, which he acknowledges is quite ready to take over from its rival. The work itself bears witness to these tensions, even in its composition: the two manuscripts of Berlin and Constantinople differ not only in variations of date, content and title, but also in the references made to the two powers of the Muslim East at the end of the 4th/10th century, the Fatimids and Samanids. Figure 6: The Cisterns of Tawila located on Tawila river to the southwest of Aden in Yemen. The site consists of a series of tanks of varying shape and capacity, connected to one another. Originally there were about 53 tanks, but only 13 remain. The tanks were mentioned in the works of some Arab geographers such as Al-Hamadani in the 10th century and Al-Muqaddasi. (Source). 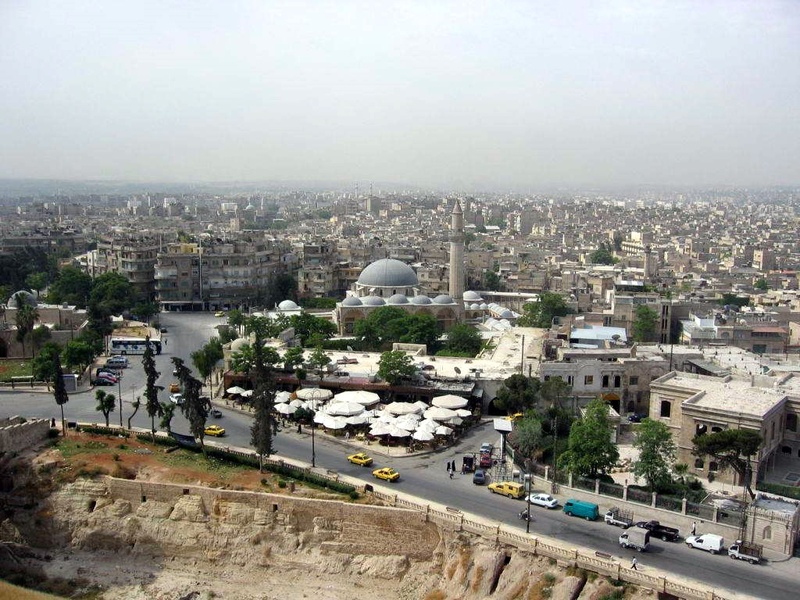 Figure 7: View of Aleppo in northern Syria, the second largest Syrian city. 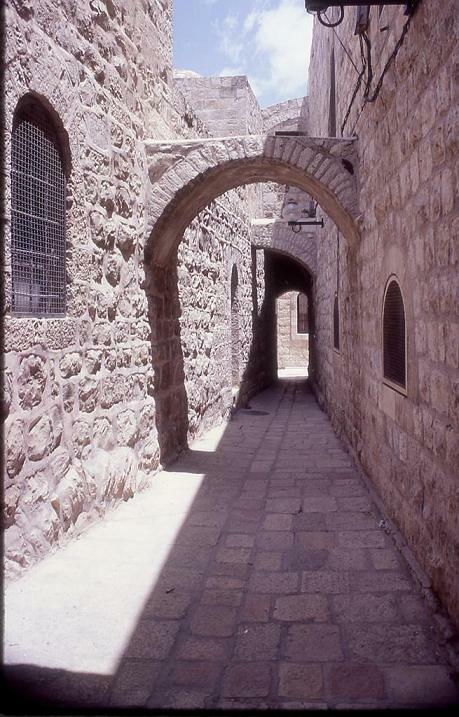 Al-Muqaddasi visited Aleppo, perhaps around the years 354-64 H/965-75 CE. (Source). There is also the small rub’ (quarter of a dinar); these two coins pass current by number, [rather than the weight]. The dirham also is short in legal weight. A half dirham is called a qirat; there is also the quarter, the eighth part, and the sixteenth part which is called a kharnuba. All of these circulate by number [rather than by weight], but their use thus does not bring any reduction in price. The sanjat (counterpoise weight) used are made of glass, and are stamped just as described about the ratls (pound). Conversion from one currency to the other also receive attention from the author, as well as their release, control, regulations, and much else. The wealth of those involved in currency dealing is also included. Prices and their fluctuations, varying in relation to the size and wealth of every market place, are considered. Cairo, Al-Muqaddasi notes, has such low prices as to surprise him greatly. “At Aden, merchandise is appraised in terms of Zakawi dinars, then one tenth of the value is exacted in Athari dinars. It is estimated that one third of the wealth of the merchants reaches the treasury of the ruler, for here the inspection is strict. The levies at places on the coast are light, except at Ghalafiqa. Tolls are levied by land: on the caravans going between Jueddah and Makka, at Al-Qarin, and Batn marrat, each place half of a dinar… The ruler of Sa’da does not levy a tax on anybody, except that he takes the quarter of the tithe from the merchants. For weights and measures, Al-Muqaddasi shows the same attention to specific detail. For each province, he names, measures, compares and explains fluctuations and variations of each measure and weight referred to. He would also dwell on the history of each; and so minute it becomes in all the detail, that it ends like the finance page of a broad­sheet newspaper, with values, stocks and shares exhibited in all their minute variations, so tedious for the general reader, so fascinating to the expert. The Islamic urban setting, its evolution, diversity, complexity, economy and politics is what attracts most of the attention of Al-Muqaddasi. It re-occurs in each chapter, for every region and place he visits. A. Miquel offers an excellent summary of Al-Muqaddasi’s interest in the subject. 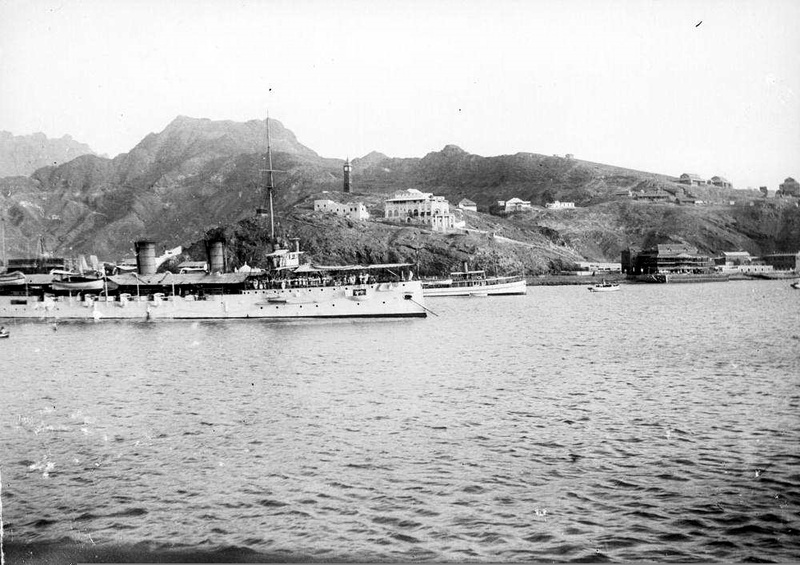 Figure 8: Picture of the harbour in Adan, Yemen, taken on board a ship, in ca.1901-10. Al-Muqaddasi visited Yemen and Aden during his journeys in the Arabian peninsula. (Source). Al-Muqaddasi probes most particularly on the defensive structures of every city. Walls, their height, thickness, distances between each, fortifications, access in and out, their location according to the general topography, and in relation to the rest, artificial obstacles, in particular, draw his attention. So do daily concerns such as trade and exchanges, markets and the urban economy as a whole. Al-Muqaddasi studies markets, their expansion and decline, providing also a bill of health for each, the revenues derived from them, both daily and monthly, and how such revenues are distributed. He also studies carefully how a place is run, and its citizens act, dwelling most particularly on such factors as order, cleanliness, morality and the state of learning, all of which he considers for each and every place visited. Diets, clothing, dialects, discrepancies of all sorts, form other elements of study for the many ethnic groups of the vast Muslim land. A diversity in union, which Miquel notes in his conclusive words, was to be completely shattered by the Mongol invasion. 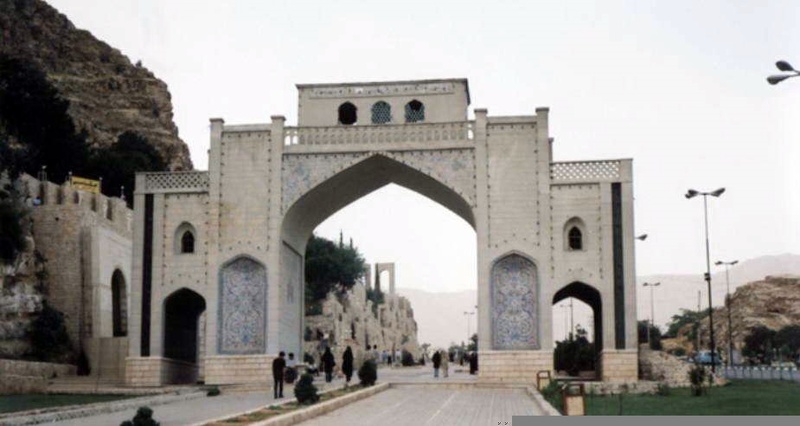 Figure 9: The Quran Gate in Shiraz, a part of the great city wall built under the Buwayhids in the 11th century. Shiraz is the sixth most populous city in Iran and is the capital of Fars Province. Al-Muqaddasi took the decision to compose his work Ahsan al-taqasim in 375 H/985 CE while in Shiraz, at a time when he tells us that he had passed the age of forty. (Source). Ahmad, S.M., “Al-Maqdisi”, in Dictionary of Scientific Biography. New York: Charles Scribner‘s Sons, vol 9. 1970-1980, vol. 9, p. 88. Muqaddasi, Ahsan al-taqasim fi ma’rifat al-aqalim = Descriptio Imperii Moslemici, edited by Michaël Jan de Goeje. Leiden: Brill, 1906, “Bibliotheca Geographorum Arabicorum, 3”, 2nd edition. 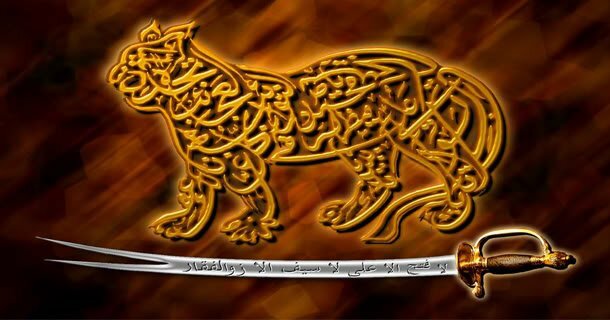 Al-Muqaddasi, Ahsan at-taqasim fi ma’rifat al-aqalim: La Meilleure Répartition pour la Connaissance des Provinces. Traduction française partielle, annotée par André Miquel.Damas: Institut Français de Damas, 1963. Al-Muqaddasi, The Best Divisions for the Knowledge of the Regions. Ahsan al-Taqasim Fi Ma’rifat al-Aqalim.Translated into English by Basil Anthony Collins. (Great Books of Islamic Civilization). Reading: Centre for Muslim Contribution to Civilization, Garnet Publishing, 1994; paperback 2000. Ashtor, Eliyahu, “Levantine Weights and Standard Parcels: A contribution to the Metrology of the later Middle Ages”, Bulletin of the School of Oriental and African Studies, 45, 1982, pp. 471-88. Collins, Basil Anthony, Al-Muqaddasi: The Man and His Work. 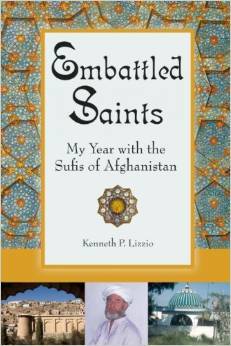 With Selected Passages Translated from the Arabic. Ann Arbor: University of Michigan, Department of Geography, 1974. Dunlop, D. M., Arab civilisation to AD 1500. London: Longman, 1971. FSTC, Al-Muqaddasi: The Geographer from Palestine (published 9 January 2009). Ibn Khaldun, “Muqqadima: On the cause which increases or reduces the revenues of empire”, in Bulletin d’Etudes Arabes, vol. 7, pp. 11-15 [extracted from De Slane’s edition, vol. 2, pp. 91-94]. Kramers, Johannes Hendrik, Analecta Orientalia: Posthumous Writings and Selected Minor Works. Leiden, 1954-1956, 2 vols., “La Littérature classique géographique musulmans, vol. 1 (1954), pp. 182-183. Miquel, A., La géographie humaine du monde musulman, jusqu’au milieu du XIe siècle. Paris-The Hague, 1967-88, 4 vols. Miquel, A. and Digard, J.-P., “Géographie et ethnographie: le cas d’al-Muqaddasî (IV-Xè siècles)”, in Le cuisinier et le philosophe. Hommage à Maxime Rodinson. Etudes d’ethnographie historique du Proche-Orient., Paris: P. Maisonneuve et Larose, 1982. [1.] The original article was produced by Salah Zaimeche, Salim Al-Hassani and Ahmed Salem. The members of the new FSTC Research Team have re-edited and revised this new version. The team now comprises of Mohammed Abattouy, Salim Al-Hassani, Mohammed El-Gomati, Salim Ayduz, Savas Konur, Cem Nizamoglu, Anne-Maria Brennan, Maurice Coles, Ian Fenn, Amar Nazir and Margaret Morris. [2.] See for a fresh look at these issues The Different Aspects of Islamic Culture, vol. 2: The Individual and Society in Islam, edited by Abdelwahab Bouhdiba and Ma ‘ruf al-Dawalibi, Paris, UNESCO, 1998 (French version 1998; Arabic version 2000). See also International Symposium on Anthropology in Islamic Culture: report on a congress organised in Kairouan in 9-11 April 2009 as apart of the festivities marking the celebration of the “Kairouan Capital of Islamic Culture”. [3.] Marvin Harris, The Rise of Anthropological Theory, Alta Mira Press, 2000 (revised from 1968 edition), pp. 8-52; Murray Leaf, Man, Mind and Science: A History of Anthropology, Columbia University Press, 1979, pp. 1-13; Paul A. Erickson and Liam D. Murphy, A History of Anthropological Theory, Broadview Press, 2003, pp. 21-25. [4.] See The long and wonderful voyage of Frier Iohn de Plano Carpini: Reworking of Carpini’s account by Richard Hakluyt in Latin and English (electronic edition published by eBooks@Adelaide; last updated 15 January 2010); and Timothy Mason, Resources for a History of Anthropology (retrieved 1.02.2010). [5.] See John Hubbard Marco Polo’s Asia, December 1994 (retrieved 1.02.2010) and John Howland Rowe, The Renaissance Foundations of Anthropology, American Anthropologist, vol. 67 (1), 1965, pp. 1-20 (retrieved 1.02.2010). [6.] Akbar S. Ahmed, “Al-Beruni: The First Anthropologist”, RAIN (published by the Royal Anthropological Institute of Great Britain and Ireland), No. 60 (Feb., 1984), pp. 9-10. See also J. T. Walbridge, “Explaining Away the Greek Gods in Islam”, Journal of the History of Ideas vol. 59 (3), 1998, pp. 389-403; and Richard Tapper, “‘Islamic Anthropology’ and the ‘Anthropology of Islam'”, Anthropological Quarterly vol. 68 (3), 1995, pp. 185-193. [7.] A. S. Ahmed, “Al-Beruni: The First Anthropologist”, op. cit. [8.] See Yasien Mohamed, “The Ethical Philosophy of Al-Raghib Al-Isfahani.- Journal of Islamic Studies(Oxford), vol. 6, 1995, pp. 51-75; Yasein Mohamed The Path to Virtue: The Ethical Philosophy of al-Raghib al-Isfahani, Kuala Lumpur: ISTAC, 2006 (reviewed by Rashid Begg in Journal for Islamic Studies, vol. 29, 2009, pp. 145-47). [9.] Al-Raghib al-Isfahani, Al-Dhari’a ila makarim al-shari’a,edited by Abu Yazid al-Ajami, Cairo, 1985; paperback Cairo: Dar al-Salam, 2007. [10.] E.K. Rowson, “Al-Raghib al-Isfahani”, Encyclopaedia of Islam, Second Edition. Brill Online, 2010 (print version: vol. 8, p. 389). See also W. Madelung, “Ar-Ragib al-Isfahani und die Ethik al-Ghazalis”, in Islamwissenschaftliche Abhandlungen Fritz Meier zum 60sten Geburtstag, edited by R. Gramlich, Wiesbaden, 1974, pp. 152-63; Salah al-Din Abd Latif al-Nahi, Al-khwalid min ara’ al–Raghibal-Isfahani fi falsafat al-akhlaq wa ‘l-tashri’ wa ‘l-tasawwuf, Amman, 1987; Umar Abd al-Rahman al-Sarisi, Al–Raghibal-Isfahani wa-juhuduhu fi ‘l-lugha wa ‘l-adab, Amman, 1987. [11.] Al-Muqaddasi, Ahsan at-Taqasim fi Ma’rifat il-Aqalim: La meilleure répartition pour la connaissance des provinces. Traduction française partielle, annotée par André Miquel, Damascus: Publications de l’Institut français de Damas, 1963, pp. XVI-XVII. [15.] A. Miquel, “Al- Mukaddasi”, Encyclopaedia of Islam, Second Edition. Brill Online 2010; print version: vol. 7, p. 492. [16.] Al-Muqaddasi, Ahsan at-taqasim fi Ma’rifat al-Aqalim, in Bibliotheca geographorum arabicum, edited by M.J. de Goeje, Leiden, 1906, vol. 3, 2nd edition; a partial French translation is by André Miquel (Damascus, 1963; op. cit). A recent full translation into English was done by Basil Anthony Collins (Reading, Garnet Publishing, 1994; paperback 2000). See bibliography below for other publications of the book. [17.] Johannes Hendrik Kramers, Analecta Orientalia: Posthumous Writings and Selected Minor Works. Leiden, 1954-1956, 2 vols., “La Littérature classique géographique des musulmans“, vol. 1 (1954), pp. 182-183. [18.] D.M. Dunlop, Arab civilisation to AD 1500, Longman, 1971, pp. 116-117.